Lately I have had this wild obsession with illustration. I am dreaming of doing so much more of bringing that more here in this space and in to my current work with some up and coming clients, which may explain why I have such an appreciation for it. 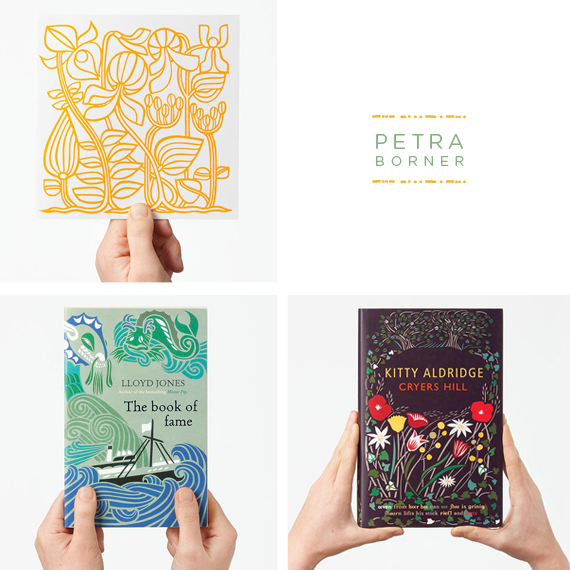 When I discovered Petra Borner I was pretty excited. Though my own personal style does not lean this direction I really love her color choices, and conceptualizing of her work. I really love whimsy and nostalgia to her style and work. Not only is her portfolio worth checking out, but if you are truly in love with her work she also has a wonderful store full of great goodies. Hope you all are having a wonderful Tuesday! I agree with everything you just said! Wow her work is amazing!